Technology Solutions - BTC Wholesale Distributors, Inc. The IEEE802.11b/g and Bluetooth® Class 2 compliance, this pocket-sized and lightweight 8230 mobile device ensures seamless wireless data transmission and real-time updates to your back-end system. 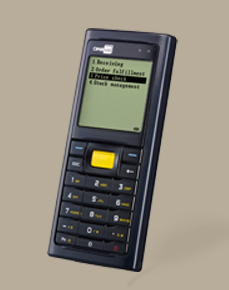 The 8230 mobile device is all you need for constant productivity and seamless ordering. Order is sent wirelessly through the internet. If your vendor is not on our list please contact us. Proprietary solutions are available. Our retail data services on customer sales, profit ranking, product movement and item sold reports will provide information to better help you increase your sales and profit margins. © 2019 BTC Wholesale Distributors, Inc. All rights reserved.